Sir John Polkinghorne, most notably known for his ground-breaking work in bringing science and theology together. He is a British mathematical physicist and Anglican priest. In 1997, Polkinghorne was knighted by Queen Elizabeth II for distinguished service to science, religion, learning, and medical ethics. Polkinghorne, a graduate of Trinity College, Cambridge, earned a bachelor’s degree in mathematics, master’s degree, and a doctorate in quantum field theory. He served as lecturer in mathematical physics at the University of Edinburgh. Later, he assumed the same position at Cambridge, and in 1968 became professor of mathematical physics. Polkinghorne earned a second doctorate in theoretical elementary particle physics from Trinity College. He was selected as a fellow of the Royal Society based on his mathematical models used to calculate the paths of quantum particles. In 1979, Polkinghorne announced that his research had been completed. He resigned, and began theological studies at Westcott House in Cambridge. In 1982 he received his ordination, and was assigned to a parish in South Bristol. He became vicar of a parish in Blean in 1984. In 1986 he was appointed fellow, dean, and chaplain of Trinity Hall, Cambridge. In 1989 he was appointed president of Queens’ College, Cambridge. He retired from this position in 1996. 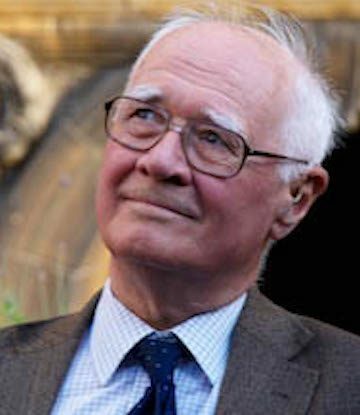 Polkinghorne was instrumental in paving the way for thoughtful conversations regarding the relationship between science and religion. In his first book The Way the World Is (1983), he explores how an intellectual, thinking person can be a Christian. He went on to publish several other books including, The Faith of a Physicist: Reflections of a Bottom-Up Thinker (1994); and Faith, Science and Understanding (2000); The God of Hope and the End of the World (2002); Science and the Trinity: The Christian Encounter with Reality (2004); and Quantum Physics and Theology: An Unexpected Kinship (2007). His autobiography, From Physicist to Priest, came out in 2007. In 1986, Polkinghorne co-founded the Society of Ordained Scientists, and was founding president of the International Society for Science and Religion (2002-2004). He was also a member of the Science Research Council (1975), the Doctrine Commission of the Church of England (1989–95), and the Human Genetics Advisory Commission (1999–2002). He was the recipient of the 2002 Templeton Prize.